Mary Fricker is an investigative journalist volunteering for the Chauncey Bailey Project. Fricker worked more than 20 years covering business for the Santa Rosa Press Democrat. 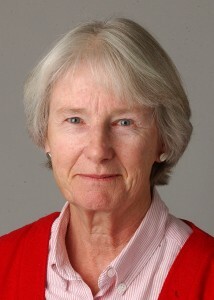 She has won numerous awards including the UCLA Gerald Loeb Award, the George Polk Award and, with investigative reporters Stephen Pizzo and Paul Muolo, she wrote “Inside Job: The Looting of America’s Savings and Loans,” which won the Investigative Reporters and Editors association’s Best Book of the Year Award in 1989.